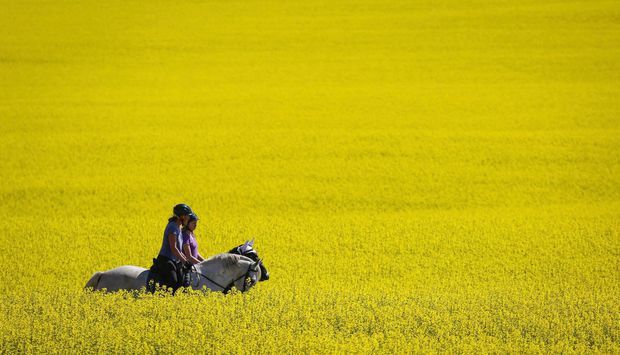 Riders pass through a canola field as they take an afternoon trail ride near Cremona, Alta., on July 19, 2016. A pair of federal cabinet ministers have been called on to testify before a parliamentary committee on China’s move to reject canola shipments from one of Canada’s largest grain producers. The House of Commons trade committee voted today to hear from Agriculture Minister Marie-Claude Bibeau and International Trade Minister Jim Carr on the Canada-China canola issue during the week of April 1. Beijing recently suspended canola imports from Richardson International Ltd. for what one Chinese official alleged was the detection of hazardous organisms in the company’s product. 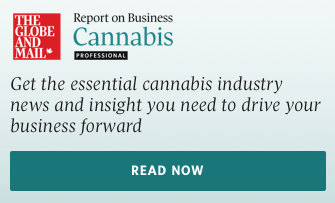 In an interview last week, Carr said Canada is pushing to solve the economically important matter – but he added that China had yet to provide evidence to back up the claims. China’s decision to block shipments of one of Canada’s key exports comes with the two countries locked in a diplomatic dispute related to the December arrest of Huawei senior executive Meng Wanzhou in Vancouver – where she’s now fighting extradition to the United States. China has since arrested Canadian citizens Michael Kovrig and Michael Spavor on allegations of engaging in activities that have endangered Chinese national security – moves viewed as an effort to pressure Canada into releasing Meng. What’s really behind China’s decision to restrict canola: science or politics?